Closed migrant centres are to be set up in EU states to process asylum claims under a deal reached after marathon talks at a leaders summit in Brussels. The centres, hosted on a voluntary basis, would determine who are illegal migrants “who will be returned”. Italy – the entry point for thousands of migrants, mainly from Africa – had threatened to veto the summit’s entire agenda if it did not receive help. Resettlement of genuine refugees would also take place on a voluntary basis. There were no details on which countries would host the centres or receive refugees. The numbers illegally entering the EU have dropped 96% since their 2015 peak, the European Council says. The EU leaders’ joint communique also speaks of restricting the movement of asylum seekers between EU states. But German Chancellor Angela Merkel said more needed to be done to resolve disagreements. The EU’s new migrant prisons? A few things stand out as wins for Italy’s new prime minister. The summit’s conclusions now include a statement about the need for boats that pick up migrants in the Mediterranean to respect international law. But the big one is approval of the concept of closed, secure processing facilities for migrants arriving in the EU. Some say this will make it easier to send back people whose claims for asylum are rejected, others are already describing them as prisons. This paragraph is full of caveats, commas and sub-clauses – all the hallmarks of something drafted in the middle of the night. Another striking pledge is for an ambitious partnership with Africa. That’s the EU trying to balance its tough internal approach with a friendly external one, and offering incentives to North African countries to host facilities where migrants can be assessed for resettlement in Europe. Whose needs does the deal meet? Italian Prime Minister Giuseppe Conte had earlier taken the rare step of blocking the conclusions of the joint communique until the leaders had settled the migration issue. Both Italy and Greece want other countries to share the burden. However several Central European states have so far rejected an EU scheme to relocate 160,000 refugees from overcrowded camps in Greece and Italy. German Chancellor Angela Merkel had said that the migration issue could be a defining moment for the EU – but she also needed the summit to avert a political crisis at home that could bring down her government. Interior Minister Horst Seehofer, from her Bavarian coalition partner, the CSU, had given her a deadline of this weekend. He has threatened to start turning away migrants who have already registered elsewhere from the border in his home state. Without the CSU, Mrs Merkel would lose her parliamentary majority. It is unclear whether the measures agreed will be enough, and speaking to reporters at 05:00 local time (03:00 GMT), she acknowledged the EU still had “a lot of work to do to bridge the different views”. 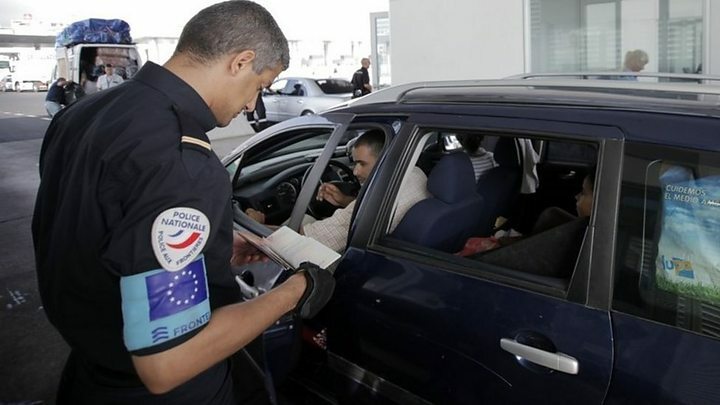 How many migrants are entering the EU? The flows of people include refugees fleeing the Syrian war and other conflicts, urgently seeking asylum. It is not a crisis on the scale of 2015, when thousands were coming ashore daily on the Greek islands. 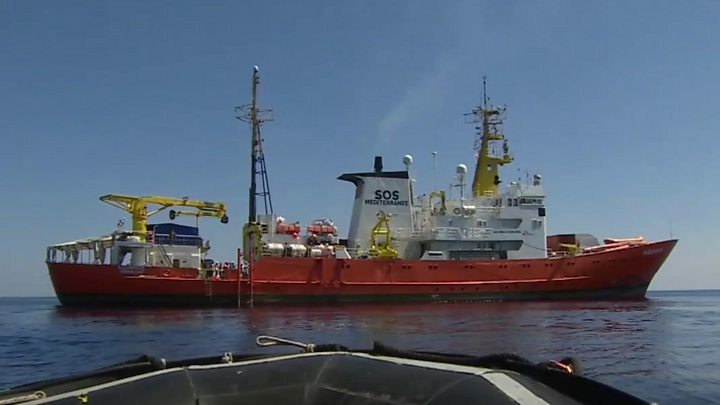 But this month’s tensions over migrant rescue ships barred from entry to Italian ports – most recently the German charity ship Lifeline – have put the issue firmly back in the EU spotlight. The Lifeline was only allowed to dock in Malta after intense diplomacy among several EU states, who each agreed to take some of the migrants on board. Malta said that Norway had now also agreed to take a share.